SHOW ME YOUR WARDROBE.COM: Show Me Your Wardrobe in September's ELLE - enjoy! 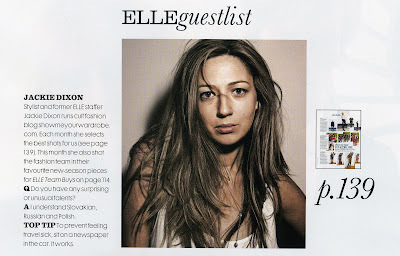 Show Me Your Wardrobe in September's ELLE - enjoy! Awesome!! Congratulations. Can't wait to get my hands on the issue. Just read it. Awesome!! I desperately need the Hermes CDC now. haha can you believe it i was wondering where i'd previously seen your face and i finally got it, it was on that elle issue!